I will always love this photo I took of the Pantheon in central Rome. During the day the piazza is hot and crowded. But when the sun goes down the city vibe makes Rome even more magical. 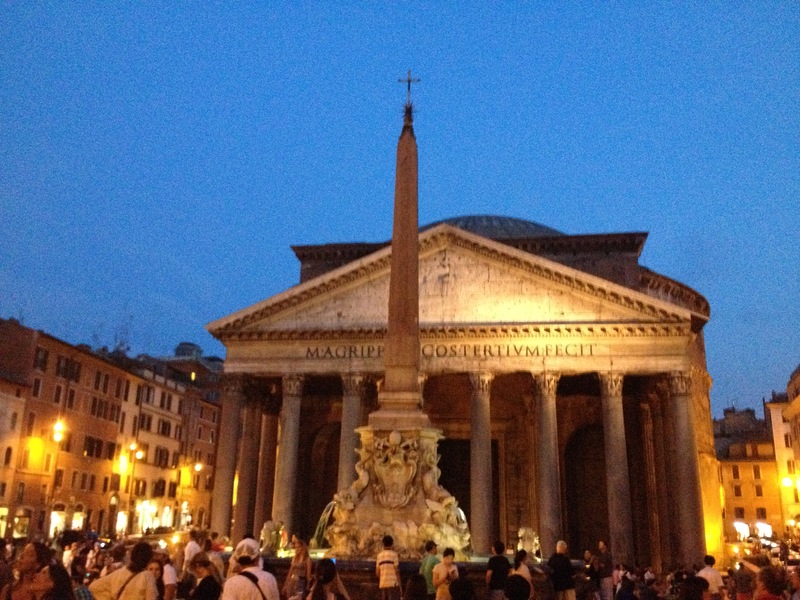 The Pantheon is one of the most visited buildings in the city and it does tend to fill up with people quickly. So get there early and you can enjoy a relatively still and peaceful visit. Rome is fast becoming one of my favourite cities. The culture, language, food – and of course the people. Italians are quirky but intense at the same time. A volatile but vibrant combination. I loved the feeling of walking around Rome in the early summer evening. Not only was the temperature more pleasant, but the people were not in a hurry anymore. Everyone was relaxed, happy and out to enjoy this gorgeous illuminated city.